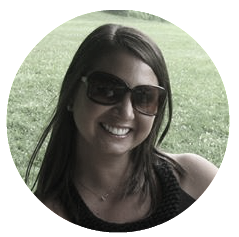 As we all gathered together around a cozy campfire to devour our roasted hot dogs, bowls of chili, and mounds of pasta salad, I could hear to the left of me talk of a nursery and the upcoming baby shower. Directly behind me I overheard someone discuss the struggles and joys of going from one child to two. To the right were your precious three and four-year old’s giggling together while you tried to bribe them into eating something other than their mouth-watering sugar cookie. And as I sat there, slowly eating my hotdog and listening to everyone’s conversation, I found myself going in and out of a trance as I watched my beautiful sister-in-law, unknowingly rub her amazingly cute baby bump. And with all that was going on around me, I could not help but take notice that every one of you is–well, very much fertile. So as I continued to scan the yard and listen to your conversations, a part of me wanted to be so green with jealousy as conceiving seems to come easy and natural to all of you. And another part of me wanted to run and hide as I felt shame. Even embarrassment. Because my mind kept going towards the thought that maybe I have done something wrong to deserve this. Or that I am not deemed worthy or good enough to be a mother. Because why else am I so different from the rest of you? Why else am I having so much trouble? Goodness, I felt so guilty. Because it’s easy to get upset and not even feel the slightest bit of guilt when you see a pregnant woman who doesn’t value their pregnancy. But to have anger? And jealously? And bitterness (even for a second) overflow to you–my family members—who I know have as much right to a child and who will cherish each one God gives you, was disturbing for me. After all, you are the people I love the most. You are my brother, my sister-in-law, my cousins, my aunts and uncles. You are my flesh and blood. And believe it or not, most days walking through infertility or being around others who are experiencing the joys of parenting isn’t this hard. It’s not always on my mind. Or a thought in my head. Honestly, it’s not. And when it is? It is usually just a hope-filled thought of “not yet” or “someday it will be my turn.” But then there are days like that one at the cook-out. Days and events when I am surrounded by hundreds of moments that remind me of what I am not. And I feel alone. I feel different. I feel insecure. And I believe the lie that I am an outcast. 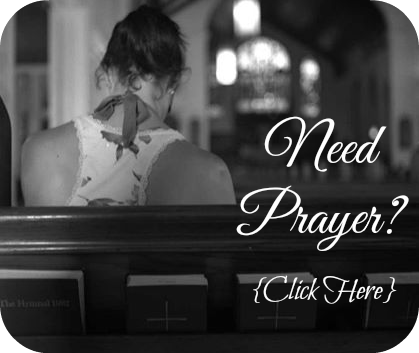 A leper, that no one, and I mean no one understands or that anyone seems to truly care about the struggles my husband and I are going through. But deep down I know that’s not the case. It’s simply not true. Because each of you know my struggle to conceive and all of you are compassionate towards our situation. In fact, I couldn’t ask for a better family that is as loving and supportive as you are to me. Not every family will send cards and text messages offering encouragement. But you do. And so I know without a shadow of a doubt that none of you would do or say anything to intentionally cause me more pain. So please forgive me for those moments when I forget that your conversations about children and pregnancies are natural and normal. And please extend to me grace when I lose myself for a moment and become jealous of this season of life you are in. I don’t mean to. Honest, I don’t. But sometimes, there are days that are just harder than others. Because the grief I experience over my circumstances can best be described like the rain. On some days, it’s like a light midst or sometimes sprinkle. While others days, the grief comes pouring down on me like a quick, unexpected afternoon rain storm. And when this happens, my emotions take over and I get swept away. I didn’t expect the grief to come and sweep me away that day. 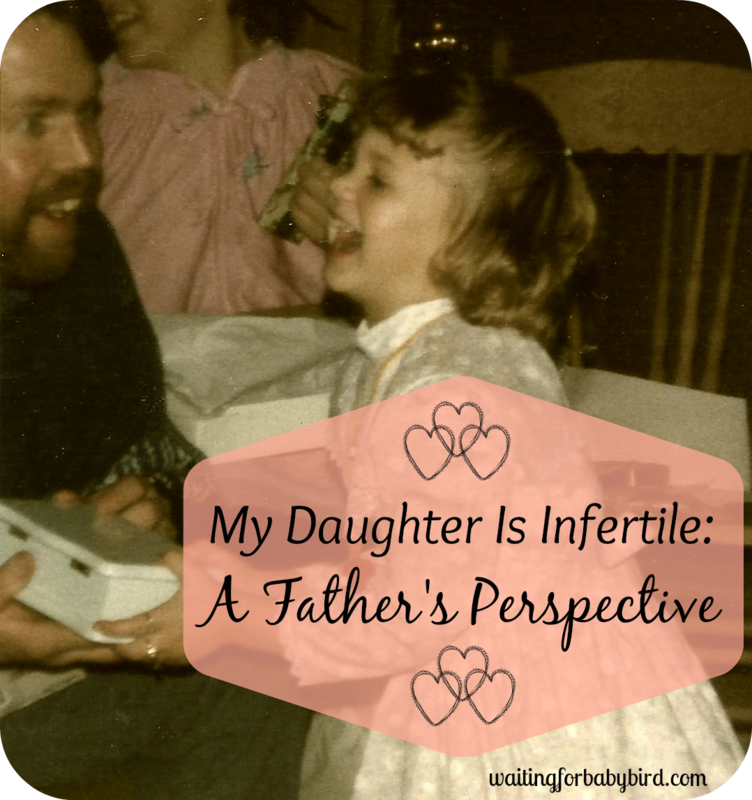 Like I said, infertility was something I thought I had come to peace with. You know, a midst. Or at best, a light sprinkle. But the shame, the embarrassment, the insecurity, and the awareness that I am different, all surfaced; much like that unexpected afternoon storm. None of you noticed though, right? Or at least I hope you didn’t. Because after four years of this war against infertility, I have learned to come prepared for these storms that rage within myself. I have learned to carry around an umbrella as I find refuge in the hope that this isn’t the end of my story. The curtain hasn’t closed. And God has a purpose and a plan for my long path to parenthood. I have learned to lean on Him during these moments, rather than pull back or run to the woods. I’ve learned to whisper His name, instead words of envy. And most of all, I have learned that when the rain comes, to just dance in it. So to my family members who continue to grow effortlessly and I continue to struggle, I want you to know that while there will always be conversations that might cause a “sting,” I still want to hear you talk about them. I still want to watch you rub your belly, discuss your nursery plans, or talk about the struggles of parenting. This is your life right now. This is the beautiful season you are in, and I wouldn’t want myself or anyone else to miss out on a single second of it. So please, don’t worry about me. I’m okay. No really, I am. I’ve got my umbrella and hopefully, some awesome dancing moves. 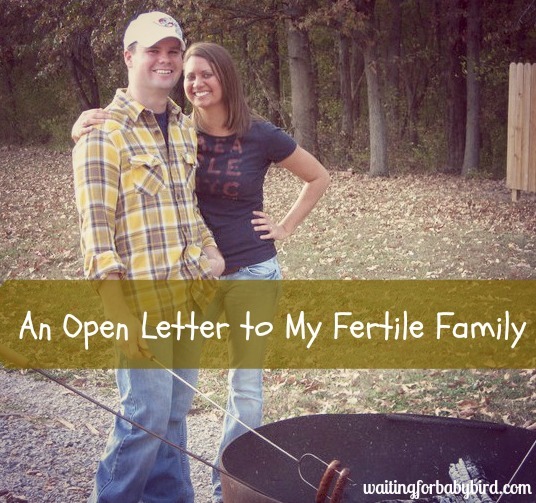 If you are struggling with infertility, I encourage you to write your own letter to your family members. Let them in on the struggles you face. The feelings you have. And the pain you feel. Just make sure you do it in love and with grace. would love to get connected with you on a more personal level, so if you liked this post, pass it on, then click here to find Waiting for Baby Bird on Facebook. Or come hang out with me on Instagram @waitingforbabybird. Am I Not Good Enough for a Baby, God? 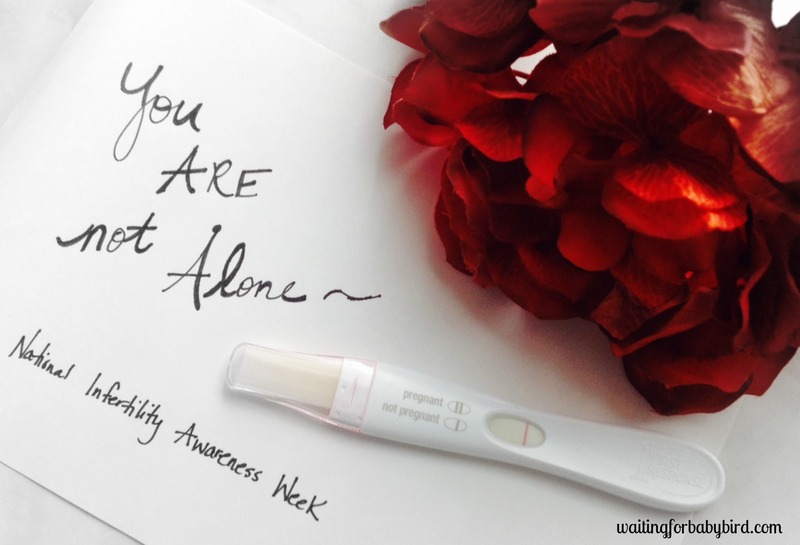 Reblogged this on Tales of infertility ~ . Thank you for putting my feelings into words. 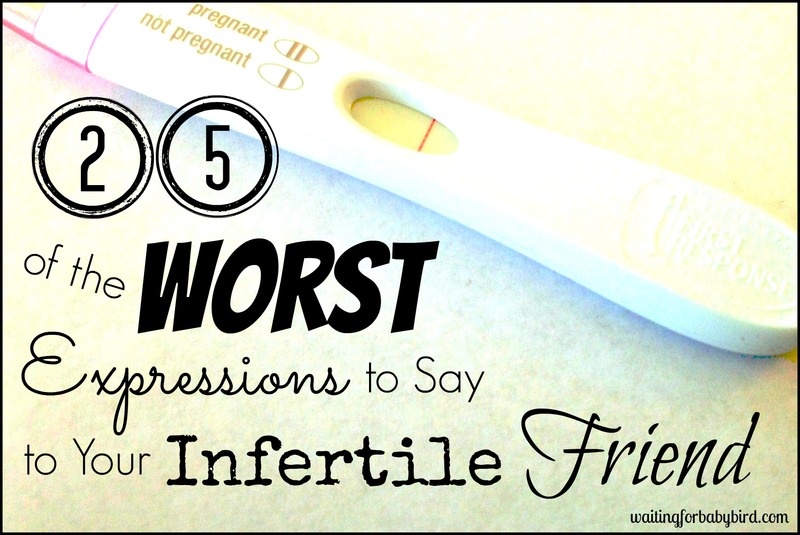 The waves of emotion that accompany the infertility struggle can be so volatile and unexpected at times. Thank you for your openness! This is such honest, open writing — every single one of us that has walked this path knows exactly what you’re feeling. It sounds like you have a wonderful and supportive family. Please grant yourself a little of that grace when you’re having a stormy day. The feelings are natural, the storms pass, and your family knows that you love them! For some women like me, Christmas time is the most joyous and wonderful time of the year. We love the carols, the lights, the smells, smiles, and to be reminded of our salvation through the miracle of the immaculate birth. We enjoy Christmas right along with the rest of the natural world, but for some women, our joy is fractured. Our smiles are incomplete. We are fighting a strange and foreign feeling of simultaneous happiness and torment. But we don’t talk about it. Christmas is a time for happy things and people. We would never want to bring anyone down during the Holidays, so we smile. We are GREAT at smiling. We are amazing, talented, wonderful women with literally MOUNTAINS of love to give – and we are childless. We know you mean well. And the truth is that we like telling our story and even our struggles to people who take the time to care. But these comments seem to only come in passing and in awkward conversations that only have about a two-minute lifespan. “Hey, whatever happened to your adoption?” is not a good question to ask as you bump into someone on the street or by the break room. What people should realize about adoption is that it’s messy and often times horrible. It’s misleading and confusing. It’s expensive and often fails. It places bizarre strains on your marriage that were never there before. Yes; sometimes a family will luck-out and have absolutely zero problems adopting. That is not the norm. Trust me, you only hear about those stories because the folks who are having trouble don’t want the world to know about it. You won’t see an Instagram about the little girl they were supposed to adopt, but that adoption fell through because the child had undiagnosed brain damage and the hope of finally becoming a family was savagely ripped away. You won’t hear about the birth family that promised a child to a couple and then “changed their minds,” as is their legal right to do. You won’t hear about couples who spend thousands of dollars and months of time on an International adoption, only to be wait-listed for YEARS, or presented with children with serious mental handicaps as their only option to adopt. So….no. Childlessness is not a fun holiday topic. Unfortunately for childless women, it hits hard during the holidays; and I mean HARD. Having a “Christmas Morning” with your family is sort of like a National Geographic’s story. You’ve read about it, you know it exists, you can hear it taking place in your neighborhood. Maybe you even go to a home to observe someone else’s family Christmas. But you can’t experience it. It’s not yours; it only belongs to other people. We understand that there are bad moments in parenting, and all parents have a right to vent. But my goodness isn’t that the kind of conversation society should discourage at Christmas? Why is it taboo for childless women to talk about the gigantic holes in their hearts at Christmas, but it’s totally en-vogue to complain about your kids to anyone who will listen? But here’s where I think some real healing takes place, and here’s what I want to share with women who are childless during the holidays. I have a friend – a really great friend – who takes the time to be truly interested and invested in my adoption story. When she asks about my adoption, she knows the answer is going to take a long time. She knows the answer may involve tears, and she always allots time to pray and truly support me. I confided in this friend that I was confused as to why God would allow these things to happen to me, or even worse, cause these things to happen to me. Why, God? Why are we infertile? Why do our adoptions keep falling through? Why do you build us up, just to let us down? Why do you put potential adoption matches in our path, just to take them away? Why shouldn’t two good people have kids, when so many bad people do? This was beautiful and amazing. I know all of your family has to just live you. I know you have to be that favorite Aunt. Remember God’s time is always perfect as well as his plan. They sure are Hugs to you! I found your blog today (have spent the last hour devouring it) and am weeping as I have heard God’s gentle voice through your posts. God has blessed you with such strength, awareness, and ability to humbly speak love and peace through your words. Thank you for your encouragement. You are a blessing. I really needed to hear this today. I had a baby shower yesterday and two pregnancy announcements this week which was a little more than I can handle. It’s nice to know that others are feeling the same way I do. So thank you for sharing your story. I completely sympathize with all you said! This is what I’ve felt for years. I just attended a baby shower for my supervisor today and it was rough, and I really wanted to run out of their screaming and crying but I made it through the whole thing and moved on. I’ve been thinking about writing a letter to my family both immediate and in laws. Most thoughts I’ve had about it have me being not so nice. But your letter really puts into perspective and has provocted me to look at how my attitude is towards both families and friends. It’s hard to explain but I usually have no problem with my family but it’s with friends that the jealousy and bitterness are so apparent?! Like to the point where I don’t want to speak to them anymore because I feel they offended me by getting pregnant, which is totally irrational I know. I really do appreciate your honesty because I am now going to do some soul searching on some of the things you talked about, because I want to honestly say those same things. 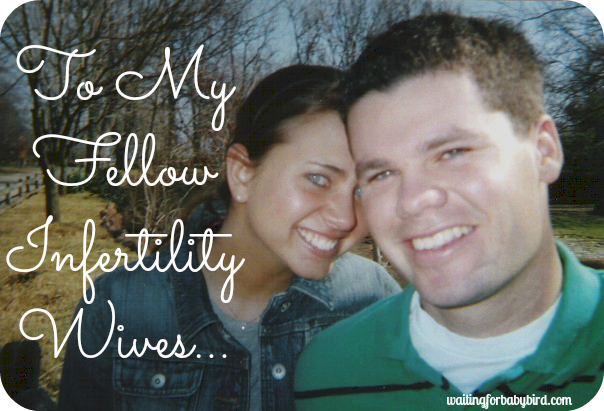 If I could change the title of this to “An Open Letter to My Fertile Church Family,” I would. I love our church. I love the teaching, the music, the people, and the support. But I won’t pretend that there isn’t a Sunday that goes by that I don’t feel the “sting.” I teach your children during Sunday School. I watch them run energetically down to the front of the auditorium to be prayed for before Children’s Church. I watch their baptisms. I (used to) help plan church-wide baby showers. These things squeeze my heart. Our church is extremely blessed to be able to easily grow their families. And I know it hasn’t been that way for everyone, but for the most part we are a very fertile church family. But that “something extra” in the communion juice that people joke about? I must not be drinking it. Am I picking the wrong cup? Or that elder that people have pray for them and then they are pregnant a couple of months later? We must getting prayed for by the wrong person. I say these things in jest. But this feeling of “being different” that she describes, is very much real. I have been standing at a church picnic and been completely overwhelmed by the feeling of shame and embarrassment, watching everyone else’s kids running around and having fun. But I love your children. And I love you. I know you would change our circumstances if you could. And we know you are praying for us. Thank you for this post. I am the mother of a beautiful little boy. We tried three long years before receiving our little blessing. And he is truly a wild, unruly, loveable little blessing! 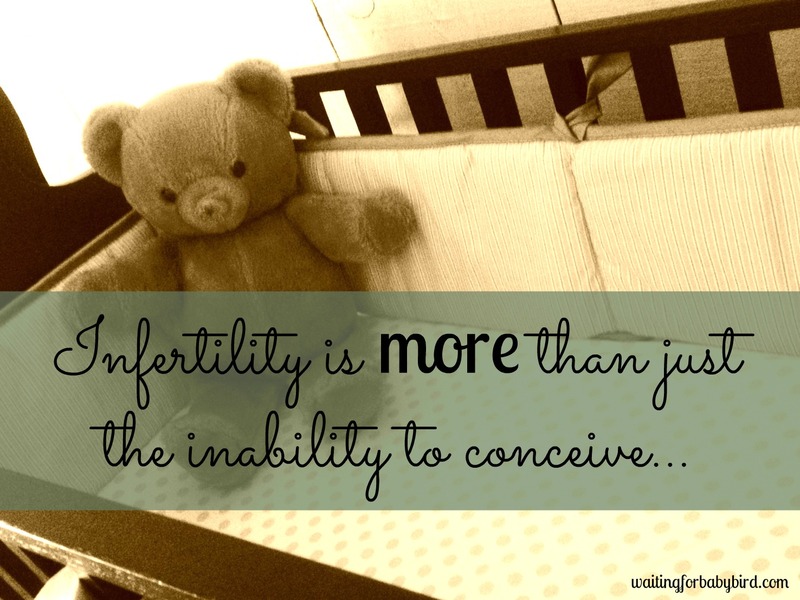 My dream was always to have children close in age so that they could be friends early on, but now I’m going through secondary infertility, and let me tell you, it is just as painful and devastating if not more so than the first time. I am not taking my motherhood status for granted or ignoring the fact that I do already have a child, but the children that I want to have is what I am mourning for right now. I am deeply discouraged right now, and trying to find that “umbrella” you spoke of. Thank for speaking out. Being alive in this world with fertile women in close proximity is the hardest societal norm I’ve ever had to endure. And not many women get it. Thanks for getting it and for sharing your pain so poignantly. I straddle that line of shame, envy and hope often. All I can do is pray.